I recently discovered this gem of a museum in an old converted Rome power-station. If you have been to Rome several times and perhaps need a fresh look at Roman Sculptures and the art of Rome, I can thoroughly recommend this place. More than 400 sculptures and mosaics are on display. The Capitoline Museums from where they have been transferred uses the space to experiment with new lighting techniques, ways of displaying art as well as various other innovations in creating exhibits. Especially for anyone into photography this place is just amazing to wander around. In order not to take up too much space here – for detailed information about Roman Sculpture and the Centrale Montemartini, Rome please click any of the previous links to navigate off this page to my full article – happy reading! The Gruppo Storico Romano, set up in 1994 by 6 Roman history enthusiasts and now 140 strong, run a 2 hour gladiator course just outside the centre on the Via Appia Antica. I enrolled as I have always fancied experiencing something of what it might have been like. I have visited amphitheatres all across Europe and been in awe of these men (and women) I thought condemned to fight. After 2 hours at this school I have learned more about Roman history than on all my previous guided visits put together. I can’t Believe Gladiators in Rome Wore These – HEAVY! 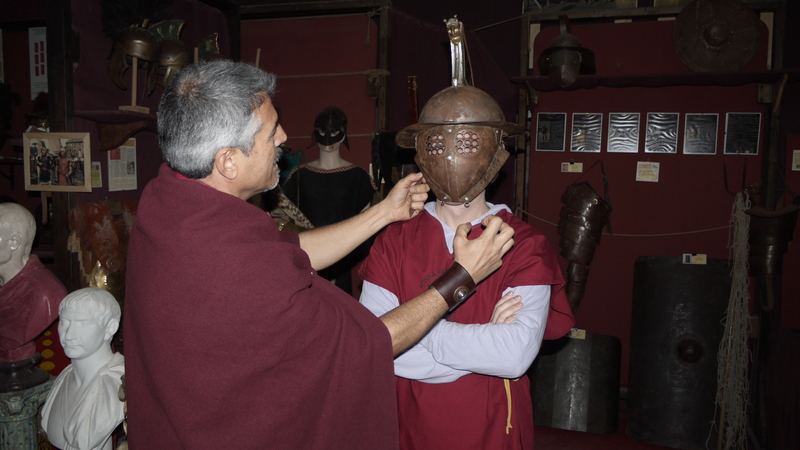 I you want to learn more about my experience as a gladiator in Rome please click the link. You’ll also find details of the school location and how to enrol – Ave! Insula Vaticana, Via Angelo Emo 130 (near the Vatican). This very nice apartment is owned by some Roman friends of mine. They have furnished it beautifully and rent it out to tourists. 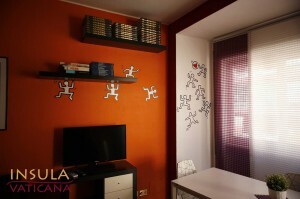 The apartment sleeps 8 (only one bathroom) and is close to the Vatican and Metro Stops. For small groups or individuals who want the comfort of their own apartment, complete with kitchen it’s really superb value and I thoroughly recommend it as a base for your Rome stay. Details here. Enoteca Cavour 313, Via Cavour 313. 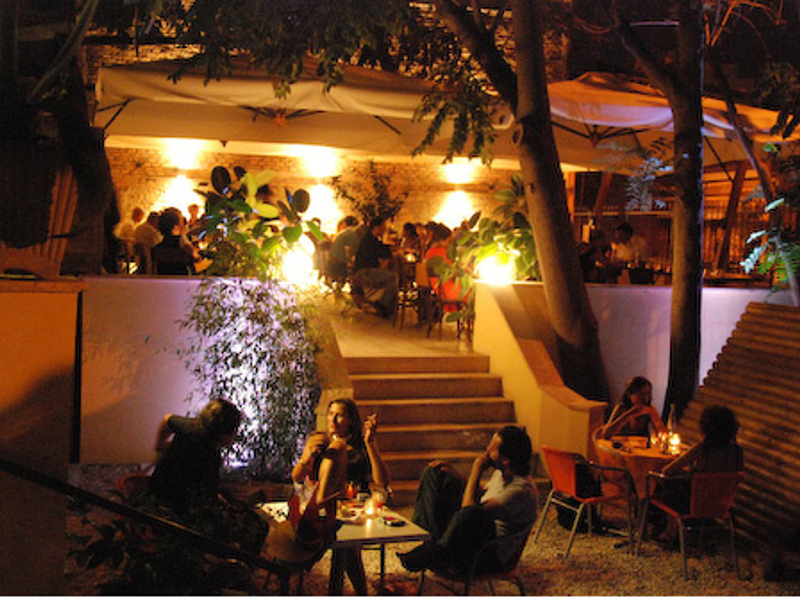 This wine bar also serves very nice food to accompany its excellent wine selection. Great cheeses and cold cuts especially. Some innovative touches, but usually no pasta be aware. It’s lighter food as the emphasis is firmly on the firm. The staff are friendly and of course very knowledgable about the hundreds of bottles that hover above you. Great too as you don’t often find good places so close to main tourist attractions, and this is right opposite the exit to the Roman Forum. Enoteca Cavour. 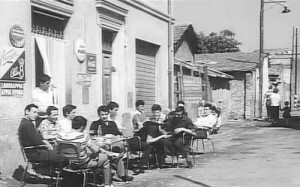 Osteria Margutta, Via Margutta 82. Another gem right round the corner from the ‘main event’, this time the Spanish Steps. So you think expensive right? Well, it is not thecheapest Osteria in Rome for sure, but it is certainly not outrageous. There are some classic Roman dishes along with some funky variations- I had a savoury strawberry risotto there once, to die for. I love the chunky big blue glasses and the decor, right in the heart of the old artist quarter is amazing. Looks like people donated a painting for their supper. Recently recommended it to a friend of mine who used it to propose… She said yes. Osteria Margutta. Chiostro Del Bramante, Arco della Pace 5. Ok, I am extremely reluctant to add this to my list as this is truly my secret, get away from it all spot and I don’t want to find hundreds of people on my next return, but it deserves it so… For a start, what a building. Bramante, of Saint Peter’s fame built the cloister between 1500-04 and those are now the settings for a fantastic aperitivo bar. There is a museum, a book shop and just the most peaceful spot in all of Rome? You literally could throw a stone to over priced and over crowded Piazza Navona. It’s where I escape to do my paperwork, Campari safe in hand. My favourite place in Rome. Chiostro del Bramante. flavours mixed with old classics. This is a recent opening in a very touristy area right by the Vatican. I thought, as I often do, ‘surely there HAS to be a good gelateria here somewhere’. And as usual all it takes is a short wander off the beaten path and voila! Trappist Beer flavour – was to die for. And the speciality; the canoli-style cone, adds a majestic, unique touch. 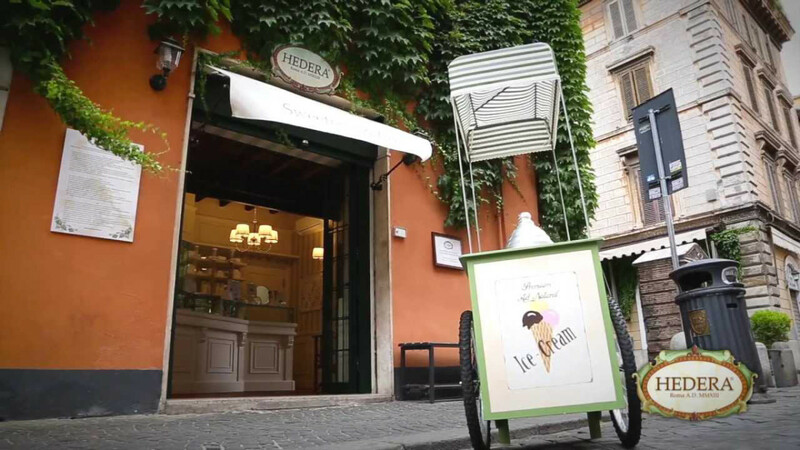 Francesco, the owner is so friendly to boot, if this is gelato heaven, he is surely Saint Peter with the keys. See their website Hederaroma. A recent discovery was an old artist area (once not the kind of place you’d want to go) of Rome called Pigneto. Now it has become rediscovered by Romans, but I’d venture is some way off being done so by tourists. There are great bars and wonderful places to eat. Go in the summer and you’ll find the place buzzing with real Romans pouring out of eateries and drinkeries until the wee hours. Thought this was a great place. Had dinner and drinks with an old Roman friend from my student days, to whom it had been recommended by locals. It did not disappoint. Food was good, it felt so ‘real’ and both inside and outside in the garden were simply great places to soak up a Roman evening. You probably need a car to get here, though there must be busses. It was great for me to find a new little corner of Rome. Have a look at their website here Necci dal 1924. Where can I get the legend that identifies for me the name of each numbered item? ?